For the yahrzeit of the Lubavitcher Rebbe. The writer is an American-born Israeli rabbi affiliated with the Chabad movement. 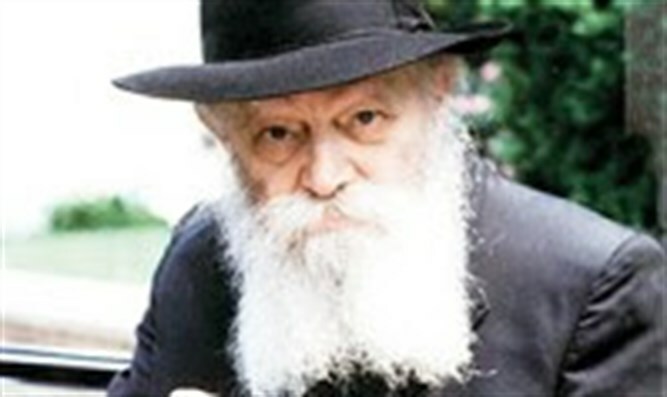 He is regarded as one of Chabad's leading authorities on Jewish mysticism and is the leader of the Derech Chaim Movement and founder of the Gal Einai Institute. 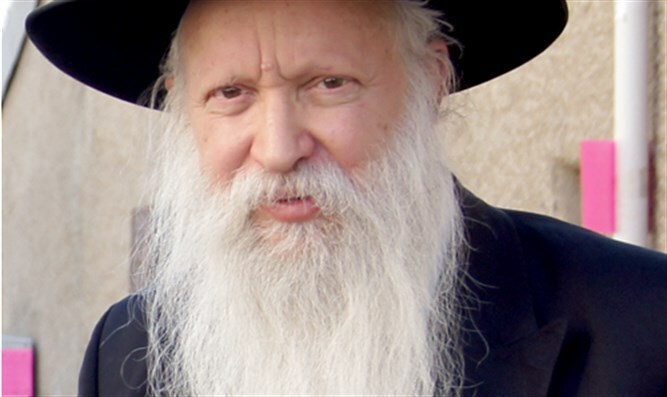 By the beginning of the eighties, the masses of people who thronged to hear and speak with the Lubavitcher Rebbe made it nearly impossible to have a yechidus – a personal conversation - with him. Nonetheless, the public was thirsty to personally see and hear the Rebbe. And so the Rebbe’s famous Sundaydollar-handouts was born. Thousands of people from throughout the world would wait in line for hours on Dollar Sunday, just to spend a few seconds in the Rebbe’s presence. On one of those Sundays, an ultra-Orthodox, non-hassidic woman also found herself standing in line to see the Rebbe. Not that she had anything pressing or urgent. But she lived in the neighborhood, and her friend had asked her to accompany her. The woman was astounded – and even a bit insulted. What does the Rebbe want from me? I am an ultra-Orthodox woman, I keep the mitzvahs. As she left the line, she felt deeply embarrassed by the Rebbe’s words. The hassidim surrounded her, wanting to hear what it was that had prompted the Rebbe to call her back into line. But she was too embarrassed to tell them. She did not understand what the Rebbe wanted from her or what he was getting at. All she felt was embarrassment. Like the woman in the story, we generally apply fear of Heaven in order to accept the yoke of the mitzvot. This, indeed, is a lower form of yir’ah. But the Sages’ explanation teaches us that there is a higher form of yir’ah. In his siddur, the first Lubavitcher Rebbe brings an example to help us understand what the higher form of yir’ah is. This is what a person feels when he stands before a truly wise Torah personality. He is flooded with fear and embarrassment. When a hassid stands before his Rebbe and feels that his eyes are looking right through him, it awakens embarrassment. The Tikunei Zohar calls this fusion of fear and embarrassment Yareh-Boshet. It is the higher form of fear of Heaven, which is actually written all over a person’s face. This is the embarrassment that our Sages were referring to above. ‘Fear on the face/panim’, also refers to fear on the inside/pnim. Higher fear of Heaven, for which we strive, is not only written all over our faces, but also imbues our entire being from the inside out. This higher fear, yareh-boshet, is actually an anagram of the first word in the Torah, ‘Breishit’. G-d opens the Torah with the second letter of the alphabet, beit, which is also the first letter of busha, ‘embarrassment’. The Ba’al Shem Tov teaches us that beit is the garment of the first letter of the alphabet, alef. So if beit represents busha - embarrassment, what does the alef represent? Emunah, faith. The embarrassment is the garment of the faith. Higher fear of Heaven is motivated by the point of faith within. Faith is what frees us from looking at other “pastures” and believing that they are “greener” than our own. It is what keeps us from being sorry that we are not in Paris. In our story, the Rebbe’s words that caused the woman embarrassment actually connected her to her faith and helped her to overcome her thoughts of foreign pleasures. What causes us to look for pleasure in foreign places? Why do so many Jewish souls go astray? If we keep ourselves isolated from the world, will this prevent our youth from going astray? On a superficial level, yes. But on a deeper level, it is our emunah that has to be strengthened. How do we strengthen our faith? By believing that I am standing before G-d 24/7. Just as the penetrating eyes of a Torah scholar make us feel uncomfortable, so when we are aware that we stand before G-d, we are overwhelmed with embarrassment. On a deeper level, emunah also means ‘covenant’. I can only be embarrassed in the face of someone to whom I feel connected, to someone with whom I share a covenant. This embarrassment is completely positive. It is a faith-strengthener, the inner motivation that keeps us connected and focused on serving G-d because we wish to do His will – instead of dreaming up visions of imaginary pleasures in Paris.